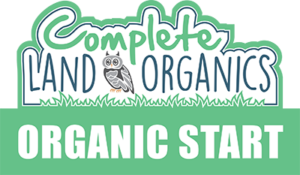 Organic Start from Complete Land Organics is the best way to start a chemical free lawn care program. Welcome! I’m happy to see you because I know a better lawn is in your future. You might be asking why have I asked you to "Start Here"? It's because Organic Start is the true starting point for a successful, organic lawn. I created Organic Start to formalize all of the required elements to transition a lawn to a healthy, chemical free lawn care approach, and to solve a major problem that exists for lawn owners. You might even have this same problem. The problem is, everyone simply does not want to put chemicals on their lawn anymore, but they don't know what the alternative is! In the minds of many who desire a lovable lawn, there is a perceived choice to make between two evils. Evil #1. Thinking you have to choose a chemical program to have a beautiful lawn (While trying not to think about the chemicals leaching into the ground water, harming pets and children playing, or the negative biological impact). And Evil #2. Feeling if you opt out of a chemical NH lawn care program you will have to settle for a terrible lawn. I'm here to tell you that both are false! You can have a chemical free lawn with science based, organic lawn care AND it will be beautiful! The Organic Start Program removes the main hurdle in getting started with organic lawn care in New Hampshire, that is, not knowing where to start and not having access to the right professional to work with who will deliver services with a systematic, proven method. "Until now, conscientious homeowners have had no help, and no professional resources, to get them on the right track to an organic lawn. Organic Start changes all of that." It is a game changer in the New Hampshire lawn care industry because it removes the mystery and delivers exactly what is needed, in the right sequence, to create the right approach for your lawn's success. It is the starting point for all of my clients and is how I deliver a customized solution unique to the conditions of your property. Whether I will be providing my ongoing NH lawn care services or if I will just be checking in on you as you work on your property yourself, this is our one and only starting point to a healthy, chemical free lawn. 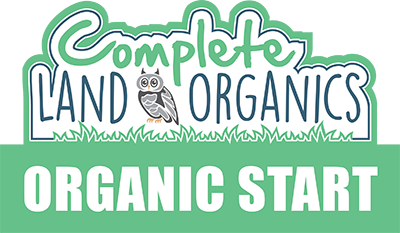 At this point you might be asking yourself what does Organic Start include? And, how does it get me started to a beautiful lawn organically? 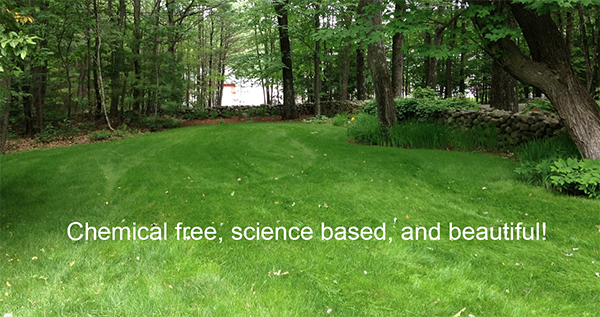 A chemical free lawn starts with science. Organic Start Analysis is where it all starts. This is a detailed analysis of your property, including understanding the terrain, solar exposure, existing grass and weed species, and most importantly the composition of your soil. And let me tell you, your soil conditions are unique! By the way, chemical programs don't consider any of this in any depth, because they are disregarding system health to focus on artificial, unsustainable, synthetic enhancements. YUCK! Your soil tells the story. Creating a sustainable, healthy, chemical free lawn begins by understanding what is happening biologically in your soil. Once we remove the harmful chemical enhancement, the soil holds the main clues in terms of why a lawn is thriving or struggling. By lab testing and understanding your property's soil structure and soil composition, along with the other onsite factors specific to your property, we can take the next step to your custom program development. This is your blueprint to lawn nirvana! Organic Start Program Design is the real deliverable. It's the phase where all the data from the analysis is pulled together in a custom designed program. I'll identify and report where the problems to address are, and what needs to happen step by step, to transition your lawn to sustainable success. What that really means is, what needs to happen to give you that green lawn you expect (without the nasty chemical aftertaste). I had to develop the Organic Start Program because everyone who wanted to start an organic lawn care program needed it. My clients needed it. And if you want a thriving, natural, chemical free lawn, you need it to. 1. 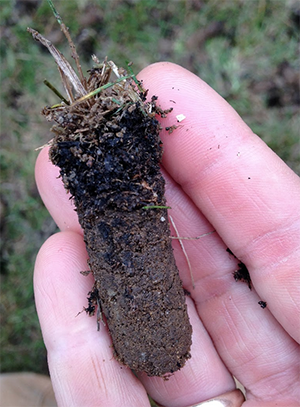 Are you ready to leave those bad lawn practices behind? 2. Are you ready to create a lovable lawn that your kids and pets can safely play on? 3. Are you ready to set the standard for your neighborhood with a lush, green, chemical free, organic lawn? Click the button below to contact us and get more information about an Organic Start for your lawn and learn how to get started with NH organic lawn care. Can Organic Lawn Care Help Reduce Pollen Vortex?